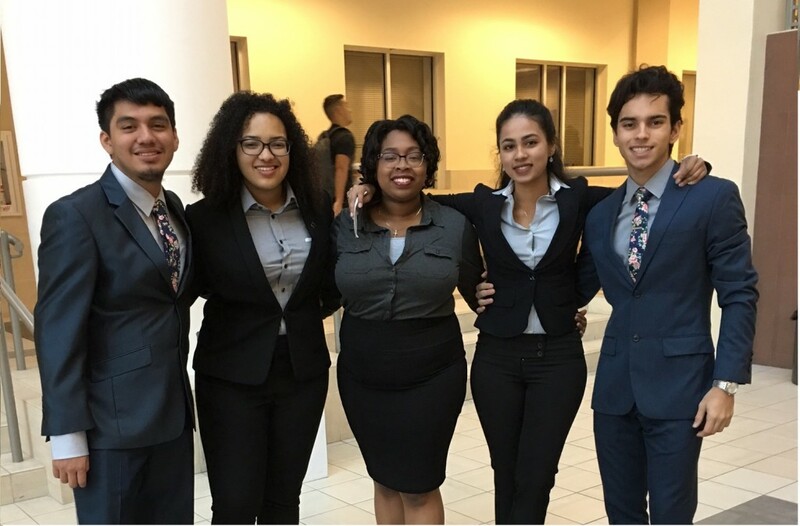 On Tuesday, January 24, 2017, the second annual Florida Business Plan Competition was held at the H. Wayne Huizenga School of Business & Entrepreneurship of Nova Southeastern University in Fort Lauderdale and drew more than 100 people interested in transforming students into business professionals. Congratulations to veBuy from Cooper City High School, they will be will be representing Florida at the Youth Business Summit. Our keynote speaker, Neal Asbury, Chief Executive of The Legacy Companies. He gave a very inspiring talk taking experiences from his own life and explaining how he was able to find his passion in business after an unsuccessful attempt at studying to be a concert pianist. Our panel of six judges included: Cesar Gonzalez, former VE student from California, VP of Corporate Development, Marlin Gold Mining, Ltd; Stephen Goldstein, Retired President, Studley Real Estate; Richard Heiss, President of Gemcor; Neuman Pollack, former Dean of the H. Wayne Huizenga School at Nova and retired professor from FAU; Carmine Giordano, Adjunct Professor, Palm Beach State College; and Iris Blanc, Executive Director, VEI.